Earth Day activities are presently in full swing and people all around the globe are posting their images and stories about climate change and the impact of global warming. However, here in southeast Wyoming, this morning we awoke to freezing temperatures and a brutal snowstorm. 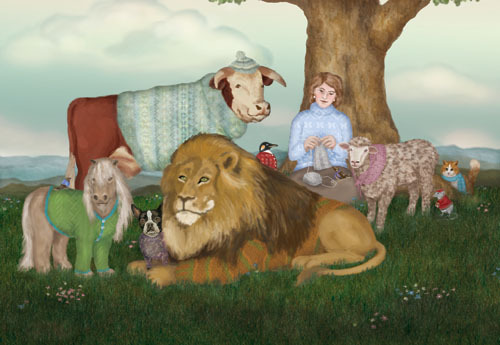 Even the animals had to don sweaters to warm up. Fortunately, a prolific knitter had prepared for this eventuality even before the winter began.